Which cigar component has the biggest impact on its flavor: the wrapper, binder or filler? While there are an infinite number of variables that can alter the taste of a cigar—soil content, tobacco variety, climate, curing, fermentation, aging and format (just to name a few)—most cigarmakers would agree that a wrapper has the best potential to impact the subtle secondary notes great cigars can impart. The key word in the above sentence, though, is potential. How much a wrapper influences flavor depends upon type, seed origin and how it’s used. Like a chef in the kitchen, a cigarmaker, when blending, picks and chooses different percentages of wrapper, binder and filler—the three main components of a handmade cigar—to accentuate or diminish certain flavors. Binder is the tobacco that holds together the filler, the heart of the cigar that determines overall strength or weakness (i.e. body). 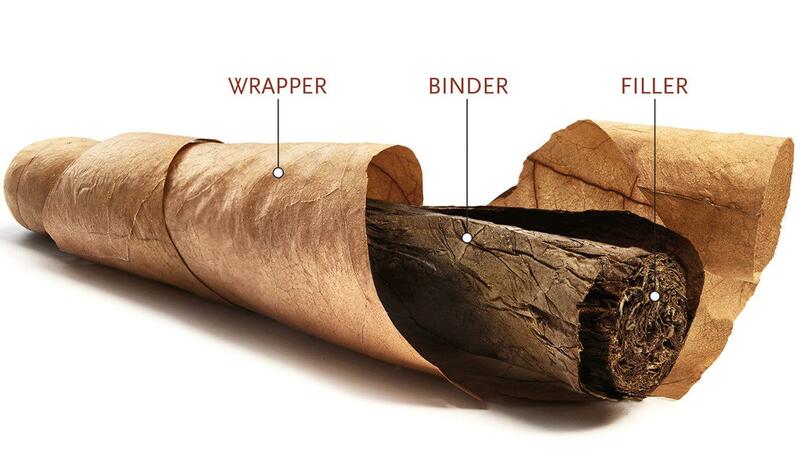 The combination of binder and filler create the bunch, which can have a significant impact on a cigar’s overall flavor. In a larger ring gauge cigar like a robusto, the bunch is more likely to affect flavor than the wrapper because the ratio of bunch to wrapper is far greater; whereas in a lancero, the wrapper will probably play a heavier role since there is less filler tobacco. The vertical brand tastings we conduct in Cigar Insider, our semimonthly digital newsletter, provide some evidence that size and format can drastically alter a blend. In a vertical of the Romeo by Romeo y Julieta line, the 6 1/8-inch by 52 ring Piramide, a figurado, scored 92 points, the highest in the line, while the 6 by 54 Toro scored the lowest at 86 points. What caused this six-point difference is the essence of your question: is it the wrapper, binder, filler or something else? Some companies, such as Arturo Fuente, intentionally riff off this debate and use it as inspiration to create unique cigars, like its Hemingway Between the Lines, a cigar covered with two different wrappers rolled to resemble a barber pole. When smoked, enthusiasts will notice a flavor change as the burn hits different wrappers. So it remains, the topic of which cigar component influences flavor the most is a great debate in the industry, and one that likely won’t get solved anytime soon.